Christmas Baked Ham, Served On The Old Plate. Spruce Twigs All Around. Front View. Banco De Imagens Royalty Free, Ilustrações, Imagens E Banco De Imagens.. Image 64613136. 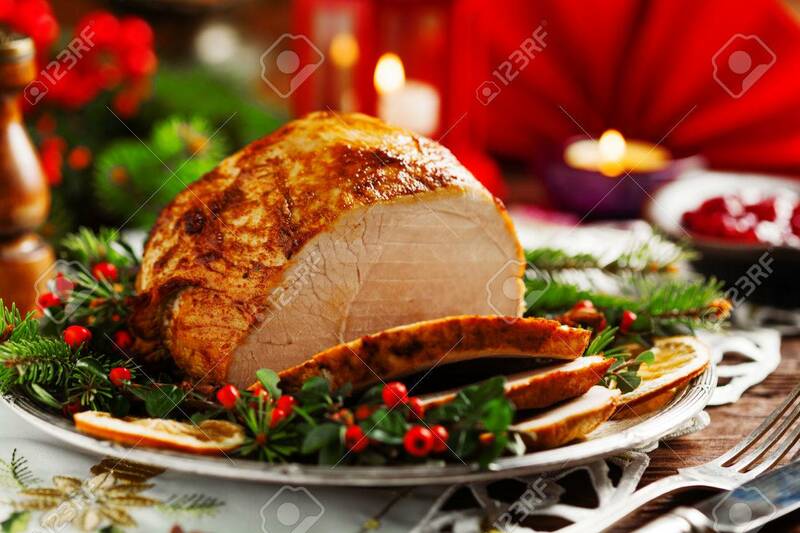 Imagens - Christmas baked ham, served on the old plate. Spruce twigs all around. Front view.